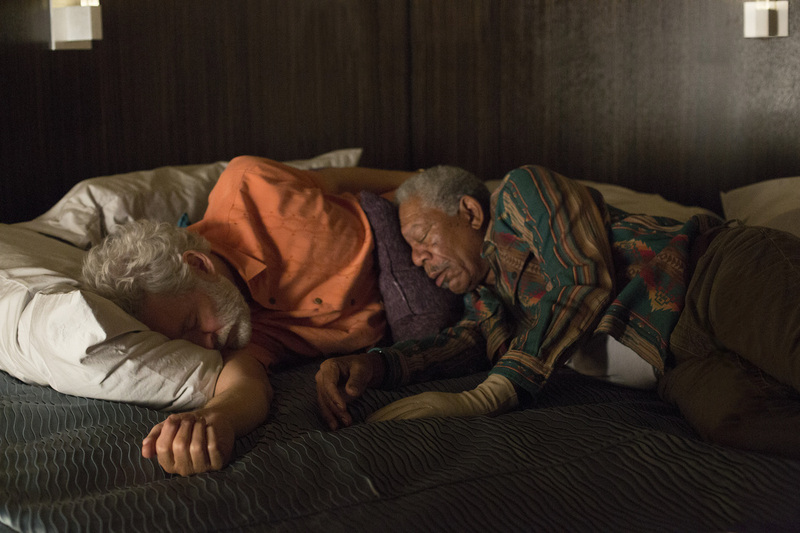 This article is a review of LAST VEGAS. THE HANGOVER has a lot to answer for. The stag-do, wedding movie subgenres have increased significantly. BRIDESMAIDS aside, the quality has not been to the standard that comedies should reach for. 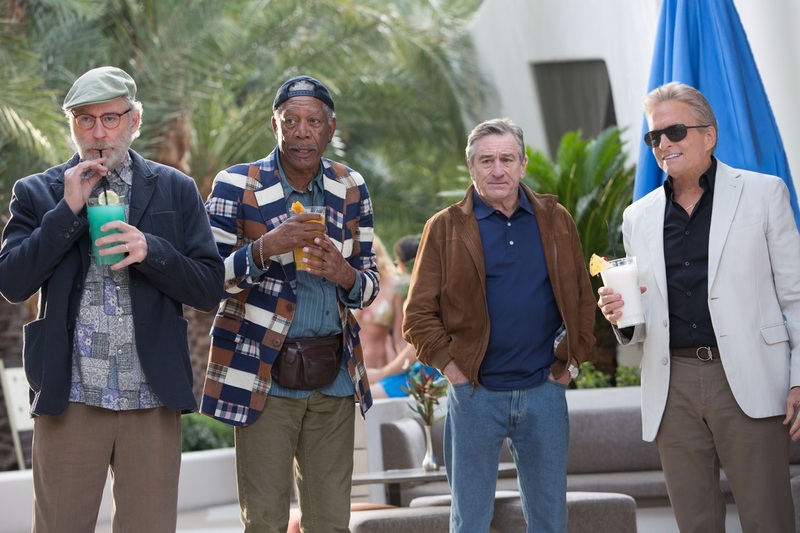 LAST VEGAS joins the duff A FEW BEST MEN. 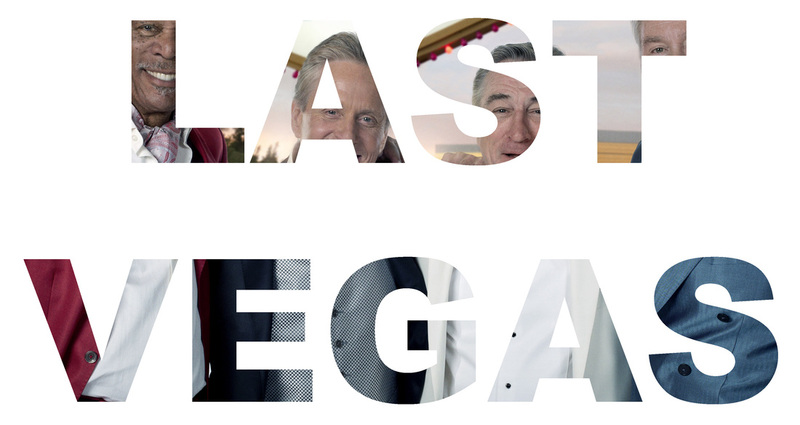 The quartet of normally excellent leads (Douglas, Robert De Niro, Morgan Freeman and Kevin Kline) drown in sub-standard material. All four have won acting Oscars. 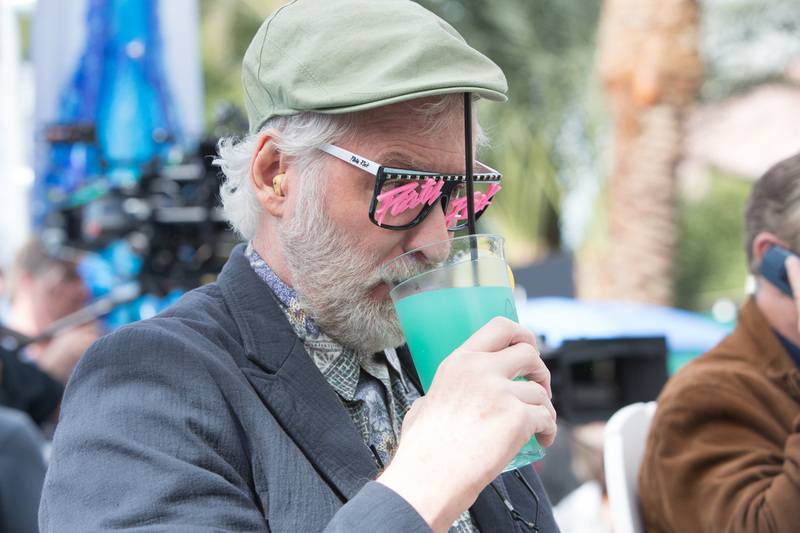 LAST VEGAS is a car crash where you want to look away. The credits sequence might have been out of ONCE UPON A TIME IN AMERICA or A BRONX TALE. Four young boys in a 1950s photo booth shoot the breeze. Billy and Paddy have the hots for the same girl. The gang band together to put a local bully in his place. Then we leap forward 58 years to the present day. Archie is mollycoddled claustrophobically by his son after suffering a mild stroke. Sam (Kline) is in a Florida retirement village with his wife Miriam, the spark ebbing from his life. Paddy (De Niro) sits bereaved in his pyjamas in an apartment, a year since the death of his wife (the girl from six decades earlier). However, Billy is successful with a 32-year-old girlfriend Lisa. (He’s older than her father). At a funeral speech for a friend he tells the gathered that Lisa is what keeps him vibrant, and proceeds to propose to her in the church – one of the few laughs that aren’t signposted. For no logical reason Billy’s nuptials are then arranged for the following weekend in Las Vegas, and is the catalyst for getting the boys back together for a stag-do. Miriam wants her old Sam back and actually tells him he is allowed to cheat on her. Those who sat through the woeful HALL PASS can guess the emotional punchline to that subplot. Archie pretends to his son that he is on a church retreat. Paddy has fallen out with Billy, for not attending his wife’s funeral. The idea that such a momentous snub was not hashed out in the previous year is hard to swallow. The explanation is drip-fed to the audience for a convoluted anti-climactic pay off. You have these charismatic leads - their back catalogue contains sporadic brilliance - chucked into a leaden story. Observations on growing old lend a little weight. The foursome party amidst plenty of age gags that seldom raise a guffaw; the minimum requirement for a comedy.